Bernie Raises $1.2M In First Hours After 2020 Launch - Joe.My.God. 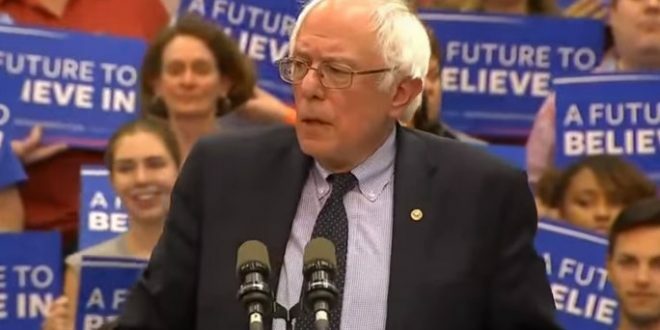 Sen. Bernie Sanders’ newly launched presidential campaign estimated he raised $1.2 million from 42,000 donors in the first 3.5 hours after his official announcement on Tuesday morning. Sen. Kamala Harris, the biggest fundraiser in the race to date, raised $1.5 million from 38,000 online donors in the 24 hours after she announced her presidential bid last month. The 42,000 individual donors who donated to Sanders within hours of him announcing reflect the established power of his fundraising machine as he kicks off his second White House campaign.